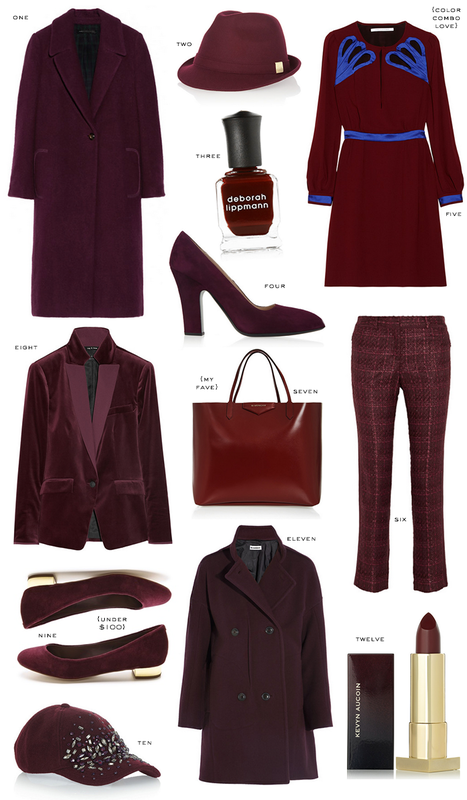 Burgundy is most definitely a favorite shade of mine this season – while navy trumps them all, burgundy is a close second (and who says I can’t wear them together)! You can find it pretty much everywhere right now – shop my favorites below! This dress might be my favorite AND it’s on sale! What’s better than that? #7 stole my heart, it’s so pretty. Dying over #6 ans #10. Might have to splurge on that hat, it’s gorgeous! Have a great weekend! Burgundy is one of my favorite colors and that dress is perfection!! I have had my eye on that amazing DVF dress for so long! I love how it looks vintage. I can’t get enough of burgundy this fall! I’ve been really wanting a pair of burgundy pumps! I love that jeweled hat and thought it would be cool to wear to my boys baseball games. That Givenchy tote is on my holiday wish list so I’m hoping Kenny gets the memo! ha! Ohh I love burgundy for fall. It might be my favorite fall color. It is so rich! I wear burgundy on my nails a lot in the fall/winter. I love the burgundy pumps and the bag! And that dress is gorgeous. Have a great weekend! The hat I could wear everyday. Great picks!